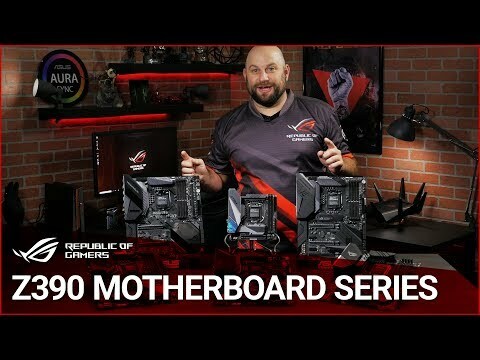 SOLID HARDWARE SPECS FOR GAMING AND MOREROG Strix Z390-F Gaming amps the power delivery and stacks a comprehensive set of cooling options to tame Intel's latest CPUs. Together with a wealth of enhancements, including one-click optimization, the latest connectivity and futuristic styling with onboard illumination, ROG Strix Z390-F Gaming makes a formidable foundation for ATX gaming builds that go above and beyond. The ROG Strix Z390-F Gaming provides all the essentials you need to harness the full potential of components in your build for top-tier gaming performance. 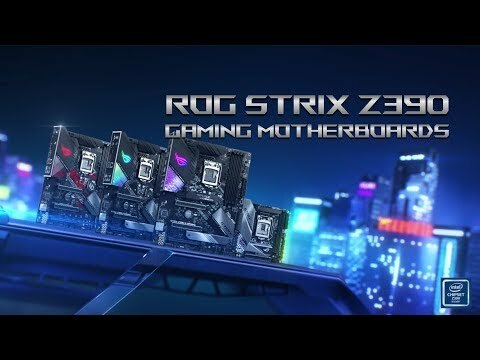 A host of design touches, including a unique cyber-text pattern, plus customization options, comprehensive validation lists, and the most diverse ecosystem of components in the industry make building and personalizing a gaming rig with ROG Strix Z390-F Gaming wonderfully easy. HIGH QUALITY COMPONENTSDigital power control together with an efficient thermal solution ensures ROG Strix Z390-F Gaming has the muscle to control Intel's latest CPUs. The Strix Z390-F Gaming uses high-quality thermal pads to help transfer heat from the inductor and phase array to a heatsink that has ample surface area to deal with the power demands of all Coffee Lake processors. Superior parts have been used when manufacturing the ROG STRIX boards to resist extreme temperatures and provide up to 110% better performance than the industry standard. faster and undistorted current deliveryROG Strix Z390 Gaming series features the most comprehensive cooling options ever, configurable via Fan Xpert 4 or the UEFI BIOS. A dedicated pair of PWM/DC fan headers for CPU coolers are easy to access on the top right of the CPU Socket whilst a dedicated AIO header can be found for self contained water-cooling setups. Every onboard header even supports auto-detection of PWM or DC fans. There is also a water pump header that can supply over 3A to high-performance PWM or DC water pumps. The M.2 heatsink perfectly chills an inserted M.2 SSD for consistent performance and reliability. Integrated OptiMem II technology ROG Strix Z390-F Gaming features dual M.2 slots. One slot supports both SATA and PCIe 3.0 x4 modes, and the other slot supports PCIe 3.0 x4 for NVMe. Together, they give you the fastest and most-flexible M.2 interface available. 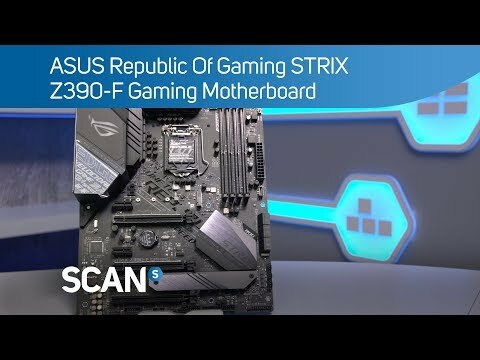 To provide Intel's latest CPUs unfettered access to memory bandwidth, motherboard trace routing has been reimagined with the ROG Strix Z390-F Gaming. Integrated OptiMem II technology carefully maps memory signal pathways across PCB layers to reduce vias, and it also adds shielding zones that significantly reduce crosstalk. To further enhance overclocking headroom for fully stacked memory configurations, a highly customized T-Topology layout delivers time-aligned signaling. ASUS LANGuard ROG Strix Z390-F Gaming features Intel Ethernet (I219-V), ensuring data exchanges with your network and the outside world are fast and smooth. Intel LAN reduces CPU overhead and increases TCP and UDP throughput, keeping more processing power. Featuring advanced signal-coupling technology and high-tolerance components, LANGuard provides consistent Ethernet performance and greater protection against static electricity and power surges.